Our very first TRI FEST is coming up! A week from this Sunday in fact. So it's all go at Darwin Triathlon Club. You can help our hardworking volunteers by submitting your entries early, or if not participating in one of the various formats, let us know if you are happy to help out at Lake Bennett on the day. Many hands and all that! We were alerted to a glitch in the Teams entry, this has now been rectified. Please email darwintriclub@gmail.com if you can assist. 1. Congratulations to Luke Fronsko - elected President of Darwin Triathlon Club for a second term. 2. Our committee has had its first meeting and is busy planning our events for the Jan - June period next year. 3. Committee details and list of all our Award Winners can be found on our website. 4. Those prizewinners who weren't at presentation BBQ will receive an email next week with collection options. 5. Good luck to those competing at Ironman 70.3 Bintan including Jac Crofton, Lyn Farrier and Brad George. 6. Good luck also to those participating in Top End Gran Fondo. Don't waste that cycle fitness, form a team and head on down to Lake Bennett the following weekend for TRI FEST! 7 And among those competing at the weekend, Leanne Fidler at Sunshine Coast Marathon. Have a good one! 8. Signing up for Darwin or Palmerston Parkrun? 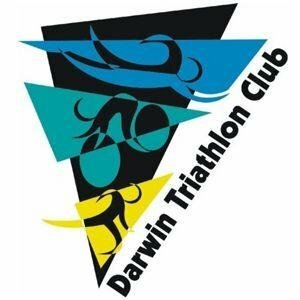 You can register as Darwin Triathlon Club.